Note: Due to the retirement of one Division of Fire Supervisor, 19 supervisors in the Division now face administrative charges as a result of internal reviews. 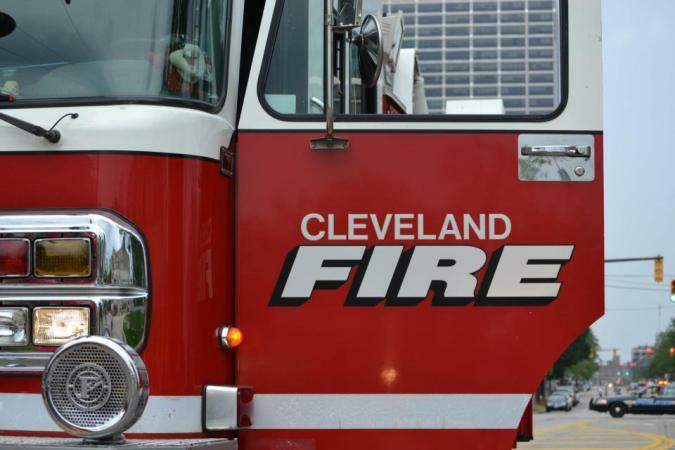 Firefighter Calvin Robinson, who faced discipline after pleading guilty to a misdemeanor charge of Complicity to Receiving Unlawful Compensation last month, has been terminated by the City of Cleveland. Per city policy, Robinson was placed on unpaid administrative leave on May 22, 2013 pending adjudication of the felony and misdemeanor charges filed against him on May 17, 2013. An administrative hearing was conducted on April 22, 2014. Robinson was a 23-year veteran of the Division of Fire. At the heart of this matter is the Division of Fire’s shift trade policy, which allows firefighters to trade shifts as long as the trades are made up within a specified period of time. The City of Cleveland’s internal audits and an investigation revealed that Robinson had an outstanding balance of more than 10,000 hours – hours that other firefighters worked for him and that he never made up by working shifts for the other firefighters. These criminal charges and the disciplinary action stem from the City’s internal investigation and audits of the Division of Fire’s policies and practices related to shift trades, payroll, timekeeping and record keeping. Now, 20 supervisors in the Division of Fire face administrative charges as a result of these internal reviews. Discipline for the supervisors was under review in 2013 but put on hold pending the outcome of the criminal charges and the administrative charges filed against Robinson and 12 other Cleveland firefighters. After the City’s audits were completed, the City hired former federal prosecutor Ronald Bakeman in January, 2012 to assist the Cleveland Division of Police Internal Affairs Unit in determining if there was any criminality involved in the shift trade practices of individual firefighters. The resulting report was given to the County Prosecutor’s Office for review in August 2012. Since the audits, the Jackson Administration has instituted a number of changes to the administrative policies and procedures in the Division of Fire, including a revised shift trade policy, enhanced supervisory training and the use of technology to ensure more accurate payroll record keeping.